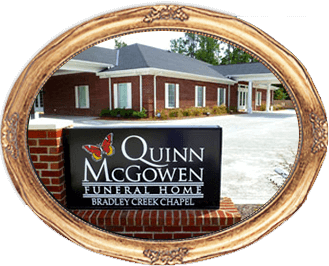 Established in 1919 Quinn-McGowen Funeral Home has remained family owned for almost a century and is dedicated to providing service with commitment, excellence and integrity. 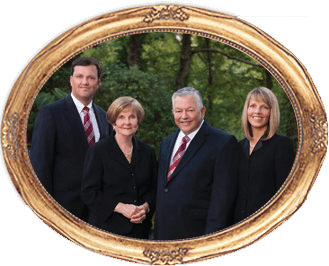 For over a quarter of a century, the Debnam family has continued that legacy. It is our goal to maintain the highest level of standards in our industry and to provide our services with unsurpassed professionalism and care. With compassion and attention to detail, we are committed to serving each family as we would our very own family. Quinn-McGowen was invited to join the International Order of the Golden Rule in 1996. The International Order of the Golden Rule is a worldwide organization whose membership is solely comprised of independent family-owned funeral homes committed to quality, compassion, service and high ethical standards. Members adhere to a basic set of principles that guide their practices with "Service measured not by gold, but by the Golden Rule."